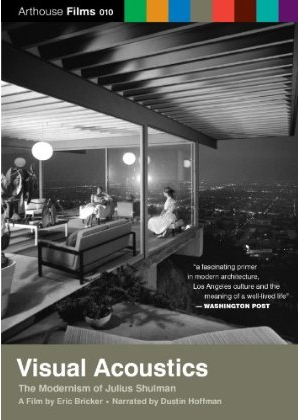 Yep, Visual Acoustics: The Modernism of Julius Shulman releases on DVD May 25th. It has extra footage and deleted scenes, just as Eric Bricker promised when it was first shown here in November of 2008. You can pre-order the DVD from now until May 25th, and it’s $25 flat, shipping and handling included. You’ll receive it 2-3 days after the 25th. Here’s where I went to order it, just now! Yeah, I’m geeking out. But I’ve waited a long time to own this and freeze-frame till the remote fries out.